← Extra, Extra! The December news is hot off the presses!! 100 years…wow, what a milestone! 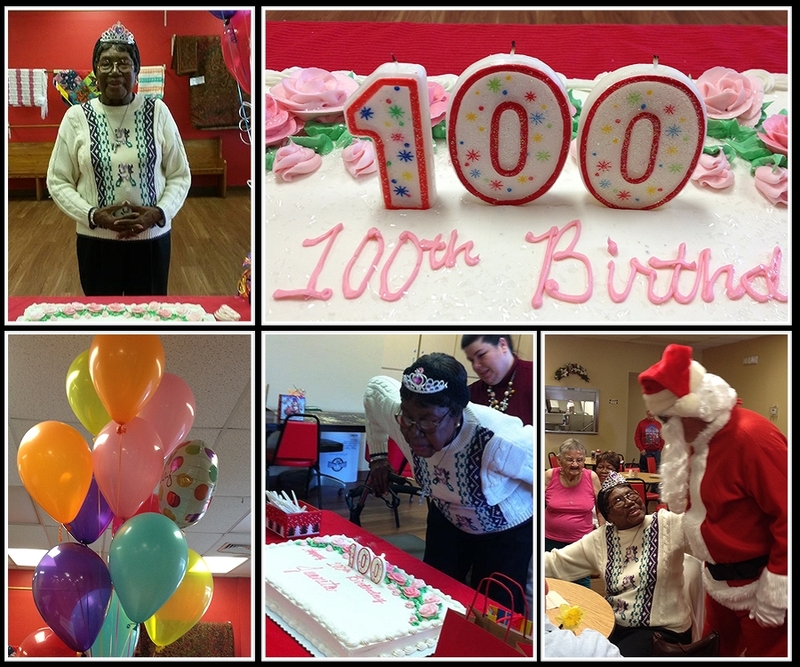 We had the pleasure to assist the Senior Center of Walker County in throwing a 100th birthday party this morning. It was an honor to celebrate with such a sweet lady. The fun started with Bingo, continued with cake and presents and ended with a visit from Santa! Happy birthday Mrs. Juanita!